SKELETON is a table-top/board/card game in which the players build skeletons from a set of different bones and add-ons. The aim of the game is to defeat the opponent’s skeleton. TIME MINERS is a sci-fi Board game. 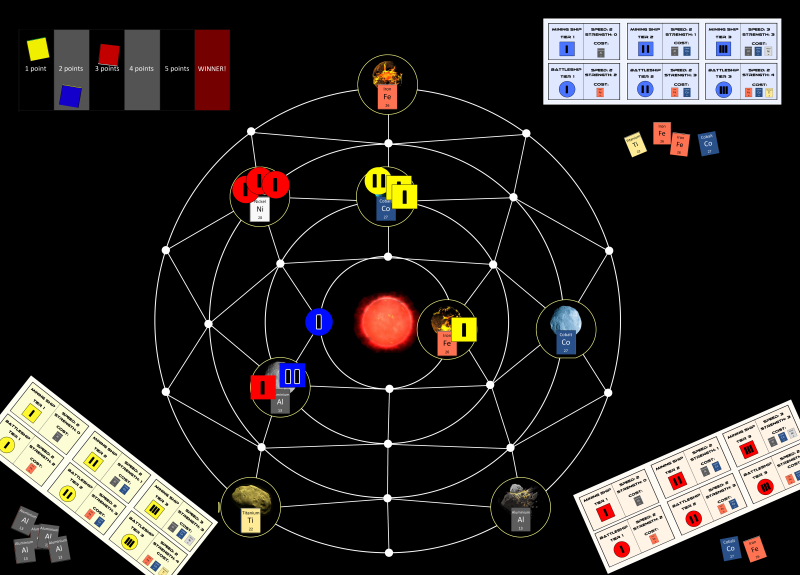 Play as a desperate faction in an interstellar war that is near its defeat yet that has found a new hope: A time machine.